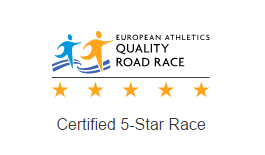 “Danske Bank Vilnius Marathon” 2016 has been approved by our National Member Federation as a 5 star race. It is the biggest running event in Lithuania. Runners begin their distance in the very heart of the capital – Cathedral square. From the starting line they move along Vilnius biggest river – Neris. It takes all the participants to the green part of the city – Vingis park. And we saved the best for last – old town with it’s UNESCO heritage sights, gorgeous streets, views and landscapes. Lithuania and Vilnius are flat, though runners will deal with a few ups and downs on their way in order to enjoy the scenery. Marathon runners have to make two laps of a track, for a total of 42,195 km.